How could you look at that picture and all those bright smiles and not feel joy? 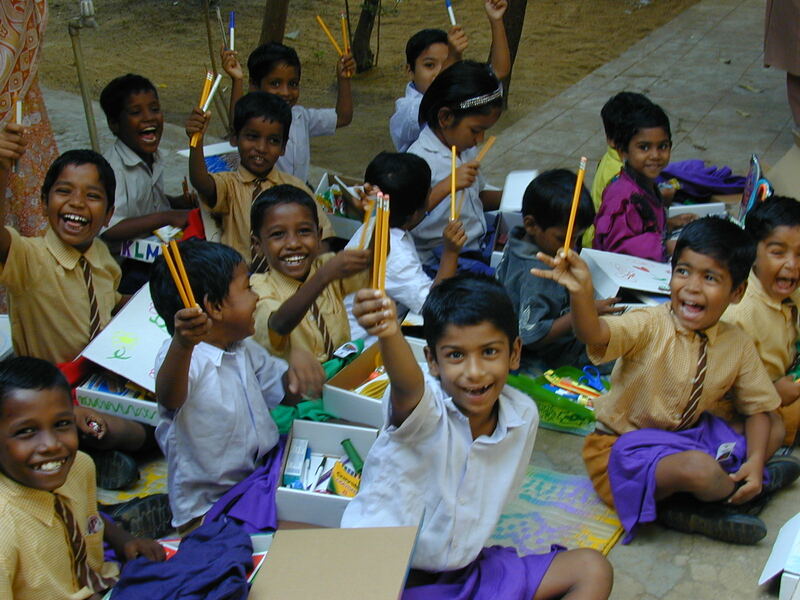 Oh that we in this part of the world could be that happy and enthused over a few pencils – things we simply take for granted. Thanks for sharing the photo.